As a consultant, I am always challenged by quickly changing situations and diverse projects that tackle crucial topics of our clients. This is exactly what makes consulting very appealing to me. On the one hand, my personal learning curve is very steep, and on the other hand, I as Project Manager can see and steer my team members’ development. Once I started my part-time M.Sc. program at HHL in 2012 where you are prepared for consulting and can really feel the dynamic spirit in class, it became clear to me that this working environment suits very well to my personality and to my approach to solving challenging topics. Therefore, I made the decision for a career transition into consulting relatively early in my studies and I am still very happy to have done so. My decision for HHL has paid off as I was hooked by the good reputation of the school and the mixture of theory and practical relevance while earning a degree from a university. At the same time, I wanted to build an international network which offered HHL not only on campus but also beyond. Finally, it was also the city of Leipzig and the spirit at the school that emphasized my decision for HHL. Looking back, my time at HHL was enriching in various ways: I took a lot out of the program – personally and professionally. HHL not only grew my professional network, I also found friends for life. Therefore, I keep strong bonds with my alma mater as I am interested in the development of the school and I am keen to take part in events on campus which are also a great source of meeting new talents for SMC. 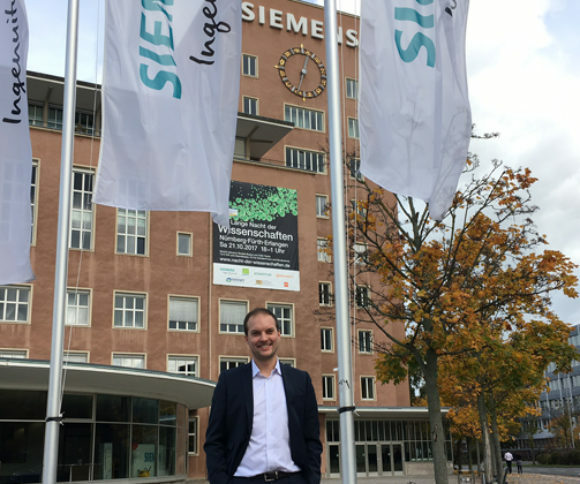 I am also happy to be a host of one of HHL’s Alumni Chapter Meetings at our Siemens Headquarters in Munich.